Palistan Airforce No. 27 Squadron, nicknamed Zarrars, is a Pakistan Air Force (PAF) squadron tasked with the role of tactical attack. It is assigned to the No. 34 Tactical Attack Wing stationed at PAF Base Rafiqui (Shorkot), which is under the PAF's Central Air Command. 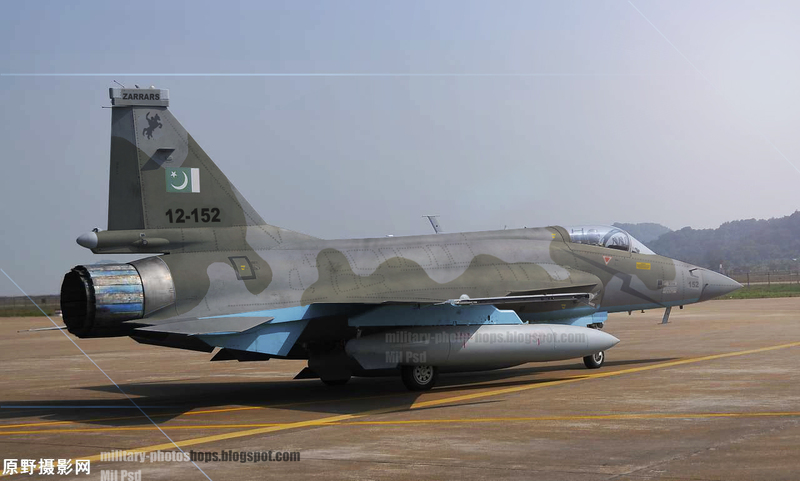 This is the 3rd squadron to receive CAC/PAC JF-17 Thunder aircraft, jointly developed by Pakistan and China. These Block II JF-17 have a new Multi-mode Radar with improved A2G modes including SAR, Terrain following Radar, Improved navigation systems, and FLIR .Addition of these aircraft will greatly improve the tactical strike capability of Pakistan Airforce . The squadron was formally raised on 19 April 2007 at PAF Base Rafiqui and was previously equipped with Dassault Mirage 5EF ROSE III combat aircraft. The first commanding officer was Wing Commander Shafqat Mushtaq and the first Senior Engineering officer was Squadron Leader Najam-ul-Hasnain. The Zarrars are tasked with to carry out night air assault operations, and currently participating in recent air assault target operations. can u do a tejas in pink?